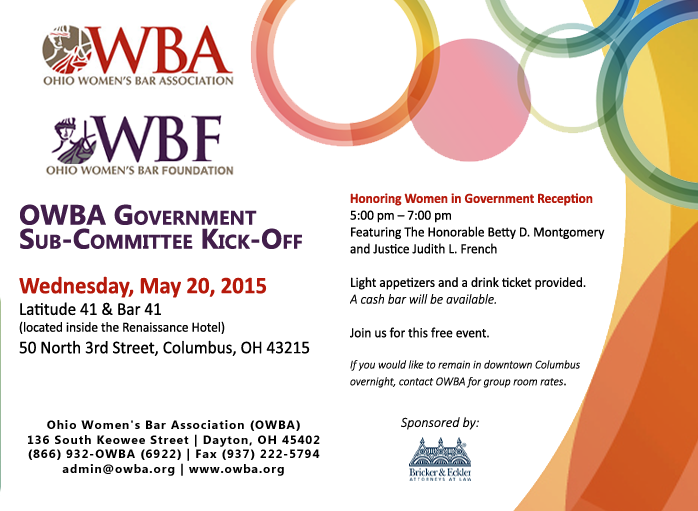 This will be the debut event for the newly formed Government Subcommittee of the OWBA. We will introduce the committee to OWBA members and the community with a complimentary reception consisting of light hors devours and a drink ticket for all in attendance. Betty Montgomery and Justice Judith French will be our key speakers for the event. This will truly be an amazing opportunity for you to meet and network with these incredible women. Don't miss this event! Register now!